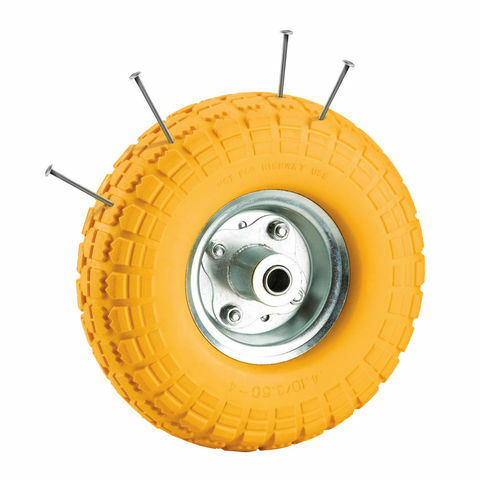 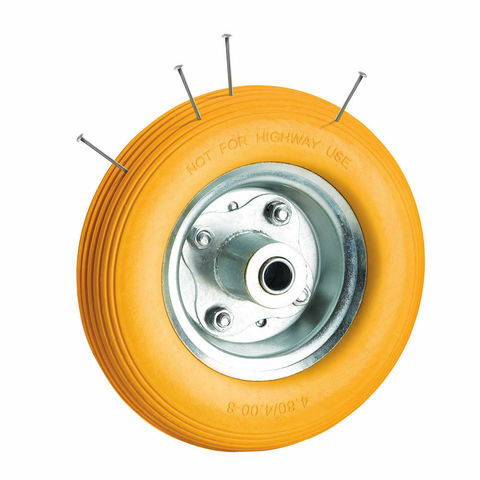 Ideal for moving heavy loads of up to 100kg over uneven surfaces and rugged terrain, this is a hard wearing wheel with puncture proof tyre, ideal for construction sites and other work areas. 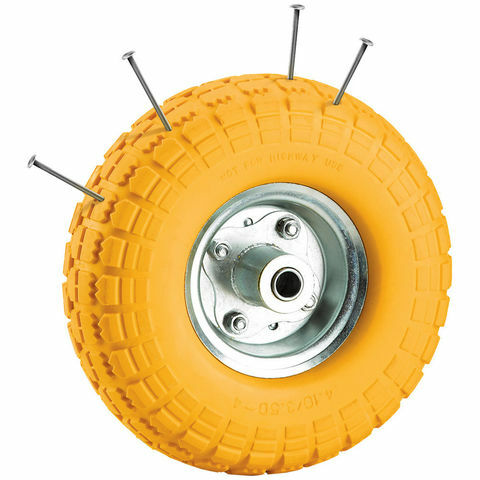 Built for tough daily use, these big, pneumatic tyred wheels are ideal for indoor and out door use, especially when moving heavy loads over uneven surfaces. 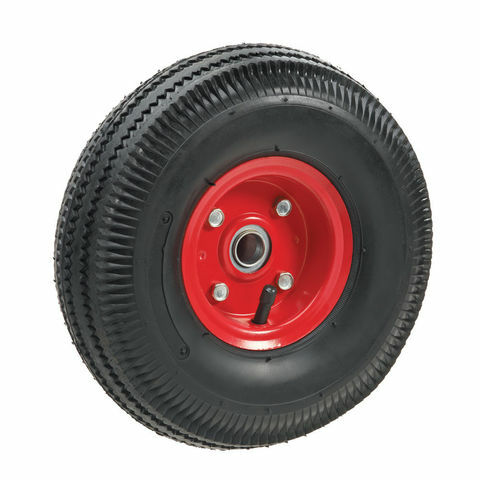 The centre of the wheel is constructed from red steel.